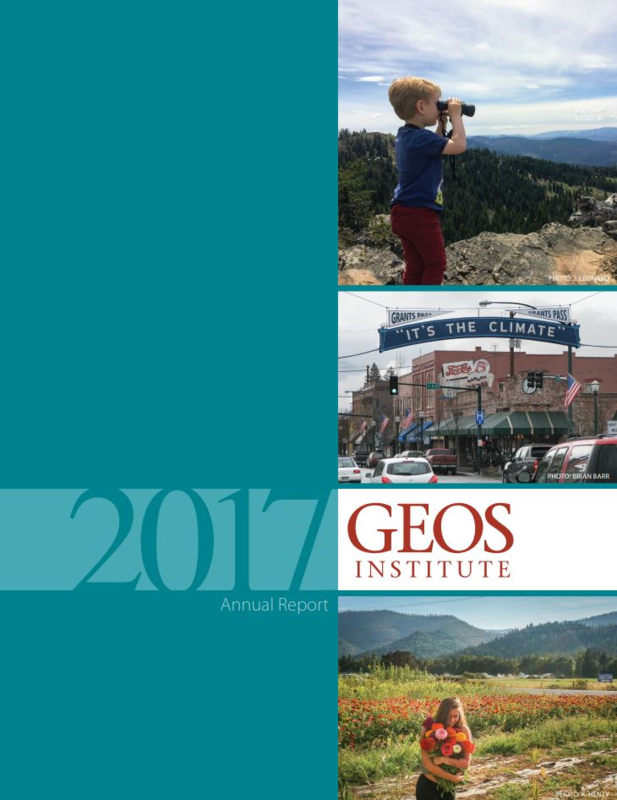 The Geos Institute is a team of scientists, facilitators, and process innovators who believe that the global climate crisis will push humanity to make a collective decision – move toward greater cohesion and peace or widespread violence and conflict. We do not have all of the answers, but we lean hard toward peace and cohesion. And we do that by working on the systems where we believe our focus can have the greatest impact on people and the natural world – community decision making, forest management, and river system restoration. Our team works hard to create a future where we have successfully and collaboratively addressed the systemic causes of climate change to bring about a healthy and prosperous world for people and wildlife. The science is clear. The climate is changing rapidly and in dangerous ways. And human activity is the primary cause. Get to work creating a culture of awareness, innovative thinking, and collective action that will allow us to leave a healthy, vibrant, peaceful world to our children and those who come behind them. We choose to get to work, and we hope you will join us. Learn more about our staff, board, and science advisory board.